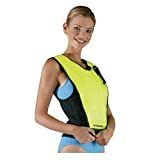 Looking at a snorkel vest, you immediately think of a life jacket. Yet, there are profound differences between the too. The purpose of a life jacket is to keep you afloat until you can be rescued. The design of a snorkel vest also allows you to float, but foremost it gives you control over your buoyancy when you snorkel. You can control how far or low in the water you float when you snorkel. Choosing the right size will tremendously reduce the effort on the swimming part of snorkeling. While these vests do make it easier and more comfortable to snorkel they unfortunately also have one downside. One can’t say that they are attractive looking in any way…  However, with regards to safety and comfort, the looks are not the most critical factor. Or at least, they shouldn’t be. 2 First off, what is a snorkel vest? 5 What Should You Go For? 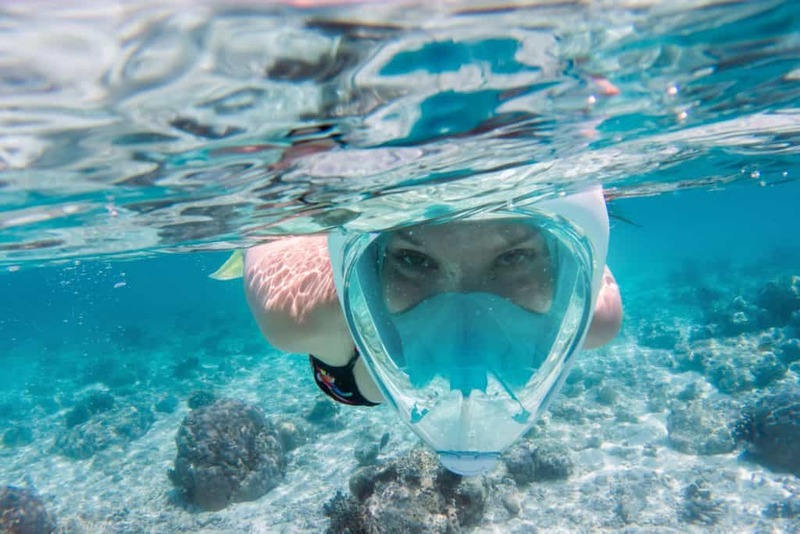 6 Why should you use a snorkel vest? 7 How is a Snorkel vest different from a life jacket? 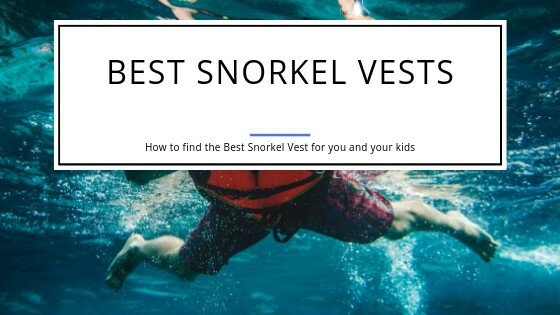 8 How to find the right snorkel vest? First off, what is a snorkel vest? A snorkeling vest is an inflatable vest that uses the principle of buoyancy to keep you floating on or over the surface of the water. 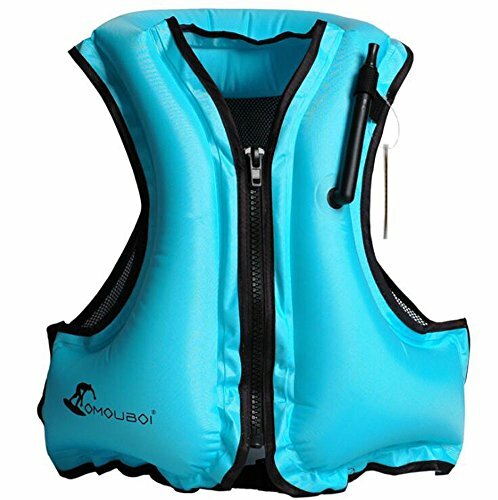 A life vest is designed to keep you on your back and your head and face out of the water. A snorkel jacket, in contrast, will keep you on your stomach and allow you to keep your head underwater to make it easy to snorkel. Snorkel vests come in various shapes and sizes. They do have a tube that allows you to blow the vest up more or less. This controls your buoyancy and you can regulate how deep you’ll go in the water. There are a few different types of snorkeling jackets that we discuss below. They are not designed to keep you warm though. If you go snorkeling in cold environments, then you will have to use a wetsuit. A snorkel jacket will not help you with the cold! Confusing a snorkeling vest with a life jacket is easy. There are some distinctive differences. The life vest is only there to keep you afloat and alive. A snorkeling jacket, on the other hand, does keep you afloat, but you can also control your depth in the water. This makes it a lot less strenuous when you go snorkeling with such a vest. It’s a pretty significant improvement in your underwater experience compared to not having one. Floating with less effort provides a much-improved experience when you go snorkeling. You don’t have to work to stay afloat at a certain depth or right on the water. The vest takes care of that for you. At first glance, you might think that all snorkel jackets are alike. However, there are a few different styles. Luckily there are only three different styles you can choose from, the horse collar, jacket and hybrid types. This is the most common type you can find. It’s a single air bladder with the hole for the head nearly in the center. Usually, it’ll have one or two adjustable straps that allow to fasten and tighten the vest around the body. The better vests use durable nylon for their straps to ensure they last a long time. The straps will fasten the vest around the body, so the bladder is kept firmly around the waist. It can’t by accident or through movement slide around. The vest itself is shaped like an oval. It wraps around your torso and crotch and pretty much consists of nothing much else than the straps and the inflatable air bladder. Lately, some improvements have been introduced by some brands where they add extensions at the bottom of these jackets. These look like little wings and they increase the stability. Besides, they prevent the vest from riding up while you’re wearing it in the water. Snorkel jackets, as the name would already indicate, are built like a jacket. You put it on like you’d put on a jacket. Imagine a sleeveless jacket which is pretty much exactly how it looks and works. It’s worn the same way as a horsecollar vest even though it’s different in how you get into it. The main difference is that the air bladder covers the front of your torso instead of going all around you. This provides somewhat more stability compared to the horse collar type vest. These snorkeling jackets either have a zipper to close them up or use nylon straps that you can use to close the vest. You slip your arms through the holes and then zip it up or secure it with the straps. The hybrid design combines pretty much the best of both of the other types. Surprisingly, so far only one brand offers these types of jacket. The unique features are that ScubaPro combined the style of a horse collar vest with sleeves made from neoprene so you can wear it like a jacket. Instead of closing in the front, the hybrid design has a zipper on the side. This makes it easy to put the jacket on or off. Snorkel vests are not dull and boring anymore. They come in various colors like neon green, pink, orange, fluorescent yellow and multiple patterns as well. Many companies have started incorporating pockets, safety whistles and D rings into their snorkel vest designs. Overall these vests are pretty affordable. If you snorkel a lot, then go for a design with all the bells and whistles. Using the jacket once in a blue moon for snorkeling would result in you being happy with a more basic variant. Why should you use a snorkel vest? You are not a pro at swimming and need some assistance. A seizure or a heart attack during swimming can result in loss of consciousness and drowning which can be prevented by using a snorkel vest. For children who are learning how to swim. Prevent you from getting hit by a boat. 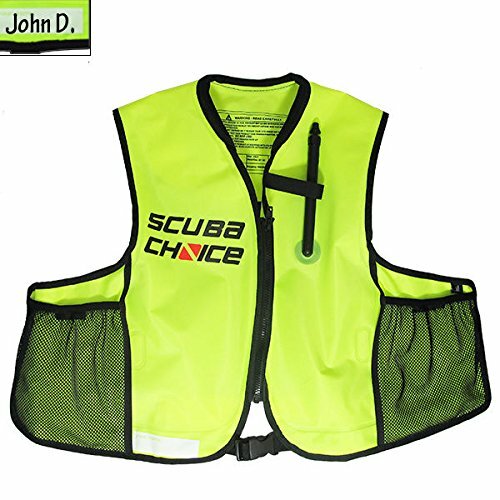 The bright colors of snorkel vests are easily visible from a distance. Should you get paralyzed by the sting of a jellyfish. To keep yourself warm during swimming in cold waters. To prevent exhaustion while swimming against strong currents. How is a Snorkel vest different from a life jacket? While life jackets mainly aim at keeping your head out of the water, snorkel vests allow you to swim with your head under water. Since these are inflatable, you can adjust the amount of air in the bladder depending upon the buoyancy you need. 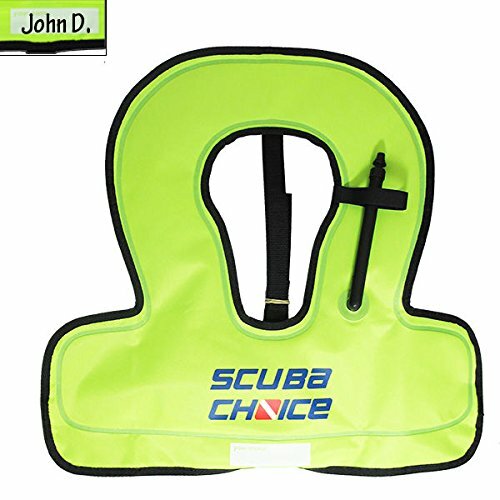 Snorkel vests are a better option for children as compared to a life jacket. 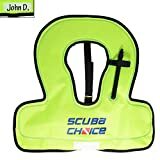 They are ideal for first-time swimmers or those who are beginners in swimming lessons. However, a snorkel vest is not a life-saving device. Its job is to keep you floating on the surface of the water. How to find the right snorkel vest? Finding the right snorkel jacket is somewhat like going shopping for a new coat. In comparison to going clothes buying your first selection is not how something looks though. Your top priority is to find a size of vest that provides the buoyancy you require to stay afloat with ease. Looks are less of an issue. The right size is also not depending on the physical size of the vest but instead hinges on the lift in buoyancy it can provide. Most sizing is done in small, medium, regular and extra-large and will depend on your weight and not on your height! Each manufacturer pretty much defines how these size brackets relate to your weight. Make sure to check the size/weight chart of each manufacturer to get the correct match for you. Be aware though that the hybrid and jacket styles have more limitations with regards to sizes. They wrap around the torso, and as such you might not find a perfect size if you have a big chest area. Horse collar styles don’t have that limitation so you might consider looking for that type in this case. Besides the size, there are also a few other considerations to take into account. Let’s have a look at those in the following sections. A snorkeling jacket provides buoyancy due to the air in its bladder. You have to pump that up through an inflator tube manually. This tube also allows you to regulate how high or low you float in the water by increasing or decreasing the amount of air in the bladder. The typical location of the tube is in the front. Nowadays pretty much all snorkel vests use a tube made of plastic for inflation. Straps, zippers and/or buckles keep the vest securely attached in place around your body. Most jackets will have straps or zippers depending on their design. The horse collar design usually requires a few straps that have squeeze clips to connect them. The straps typically are made from durable nylon and the clips from durable plastic. Hybrid and jacket design has a few zippers to adjust and close them. Most times the zippers are plastic but can also be made from metal. If you get a vest with anything metal on it, then make sure it’s rust-resistant, or you’ll end up with rusty zippers or rings! There’s overall not much to consider in a vest. Once you have the right size, it comes down to the style you prefer. Looks and aesthetics come afterward. Many of the newer designs do offer additional features like a variety of colors. Go ahead and pick the one you want depending on taste. You will also find more and more jackets providing pockets and D-rings to attach personal items. In those cases make sure that whatever you take with you will be waterproof. The pockets on a snorkel vest are not waterproof! Snorkel vests may seem bulky for people. If you feel it is too heavy for you, use a ski belt instead. They come fitted with an inflatable bladder and are wrapped around the torso just like a belt. Using a pool noodle is another option to keep you floating on the surface. However, a snorkel vest is superior when compared to a ski belt or a pool noodle and something that should be your preferred choice. After having had a look at the features you should consider let’s have a look at the best snorkel jackets. 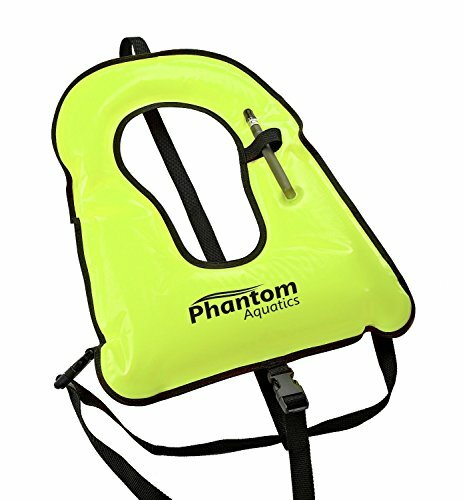 The Phantom Aquatics Snorkel Adult Vest has some of the highest ratings from consumers. It is a horse collar style vest that comes in two bright colors for increased safety. It has waist and crotch straps that are made from heavy-duty nylon and close with solid plastic clips. The vest comes in either bright yellow or orange. Both color variations are easily spotted in the water which reduces the chances of not being seen by other watersports enthusiasts on boats, jet skis, etc. That’s an important consideration to improve safety while snorkeling. The back of the vest is made from durable neoprene. The front is made from durable nylon with the inflation tube being ergonomically located on the front and is made from sturdy plastic. To improve comfort the collar is framed with rolled edges. The vest provides sufficient buoyancy for a wide range of weights. The regular (adult) size is adequate for up to 225 lbs. Above that weight, you should use the extra large version. 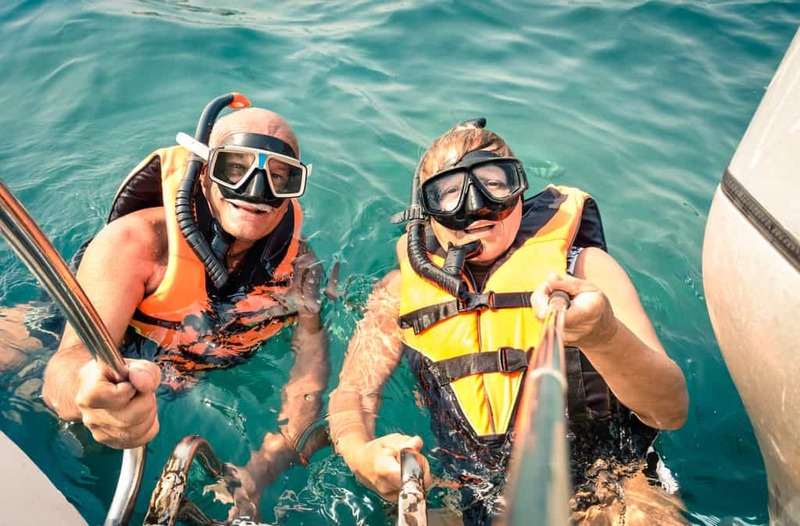 There have been mentions that snorkelers had a hard time getting the vest to fit perfectly. It might depend on your body proportions, and if you pick the correct size for yourself, you should not have any issues finding a great fit. You might have to play with the straps to get to that point. 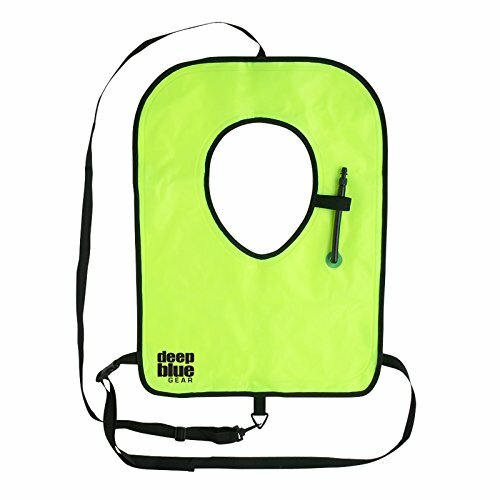 The Deep Blue Gear Snorkel Vest comes in two sizes and two colors. One of the colors is black which takes away any increased safety from wearing a snorkel vest as it doesn’t increase any chances of being seen in the water! The vest is made from durable nylon and has adjustable straps for waist and crotch. It’s a horse collar style snorkeling vest that can easily be adjusted to fit your body. It provides excellent comfort and buoyancy for pretty much any size of a person. The inflation tube is on the front and is easily reached. It’s made of plastic. All straps are made from nylon with plastic clips to get in and out of the vest conveniently. There is no small size available for children. The two sizes are intended for use by adults. The standard size fits adults up to 220 pounds. If your weight is above 220 pounds, then you need to get the XL version. The Deep Blue Gear vest is very similar in style to the Phantom Aquatics one shown above. It receives similarly good reviews and performs similarly. It might be a better choice for you if you insist on using a toned down vest in black instead of one that comes in a variety of signal colors. The ScubaPro Cruiser Skin Diver Safety Snorkeling Vest is a hybrid design. It combines the advantages of the jacket and horse collar types. It fits around the torso like a jacket, but it’s opened on the side. You slide into it. The neoprene material can become a little warm if you’re snorkeling in warm environments. Having the torso being covered also on the back provides a robust UV protection in bright sunlight. An interesting design choice is that this vest not only has an inflator tube made from plastic but also has a deflator valve. This provides precise adjustments to the inflation level to impact buoyancy. The vest is available in yellow (with black) or orange. Both color choices provide excellent visibility for others. There are five different sizes available to choose from. A great addition in size is the x-small version that is suitable for children. Overall this is one of the most ‘attractive’ snorkel vests you can find. While it is on the higher end in pricing, you get a few interesting features. First, it’s very convenient to put the jacket on and take it off. It’s easy to adjust and wraps tight around your torso. Also, it also has a pocket that is integrated into the jacket. Scuba Choice provides a snorkeling jacket that is a one size fits all for adult swimmers. It’s a bright yellow color. You won’t be overseen by others wearing this jacket. As it comes as a single size, it’s made to fit waist sizes from 30″ to 52″! It provides good buoyancy for adults of all sizes. It closes with a zipper in the front and has additionally nylon straps that can be adjusted to provide a perfect fit. There are also two pockets on this snorkeling jacket that close with Velcro straps. Pricing on these jacket style snorkel vests is higher than on the more simple built horse collar style versions. Overall these jackets are easier to deal with as you slide them on like a jacket. It’s an excellent choice if you’re looking for a jacket instead of a horse collar design. Kingswell’s Inflatable Swim and Snorkel vest is another jacket design. 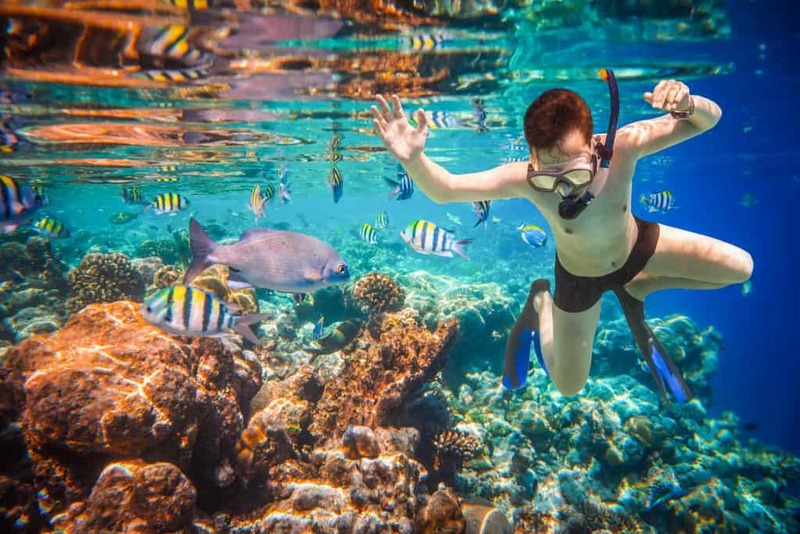 Compared to the Scuba Choice above, it’s cheaper and has fewer adjustment possibilities but is still an excellent choice for recreational snorkeling. Click here to check out on Amazon! It comes in four different colors making it an excellent choice if you don’t want to be stuck with the usual ‘fashionable’ yellow or red. It’s made from sturdy nylon on the outside and PVC on the inside. The waist size can be adjusted up to 46 inches. It can provide buoyancy for weights to 220 lbs. The front closes with a sturdy zipper. The inflation tube is conveniently located on the front of the jacket. Inflation and deflation are easy to manage and are quick to do. This jacket is a solid contender, but you probably want to look more towards the Scuba Choice or preferably the ScubaPro Cruiser if you are looking for a heavy duty vest that you end up using more often than just a few times a year. This is a very basic horse collar design snorkel vest for children. It’s easier to use than many of the adult variants with regards to the straps and inflation tube. 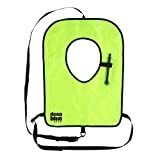 The vest has little wings at the bottom to increase stability and keep your child safely above the water. The straps are specially designed so the jacket does not ride up but stays in place securely. It’s suitable for kids up to 100 pounds. Children will appreciate the design that allows to put it on and take it off quickly. There are just a few clips to open or close and they are in or out. It’s compact and makes it an excellent choice for traveling as it packs small. Even though it’s affordable and light, it’s reliable and sturdy. You and your children can depend on this vest to work and to keep them safe. Providing a clear winner in the list above is hard. We prefer the hybrid style ScubaPro Cruiser. It’s the best overall vest, but it’s also higher up in price. It will only make sense to get this vest if you use it quite a bit. If you go for a vacation and want to use the vest a few times during that time, then you can pretty much choose any of the other jackets and make a good choice. All of these vests have gotten overwhelmingly great feedback from other customers. You’ll be surprised how much more convenient and comfortable your snorkeling experience will be when you start using such a jacket.